Walmart Savings Catcher is an incredible piece of technology that is constantly being improved upon but it’s not quite foolproof yet. While it has worked great for me (you can see my totals here) I have talked to a few of you that are frustrated because it seems to be missing deals. 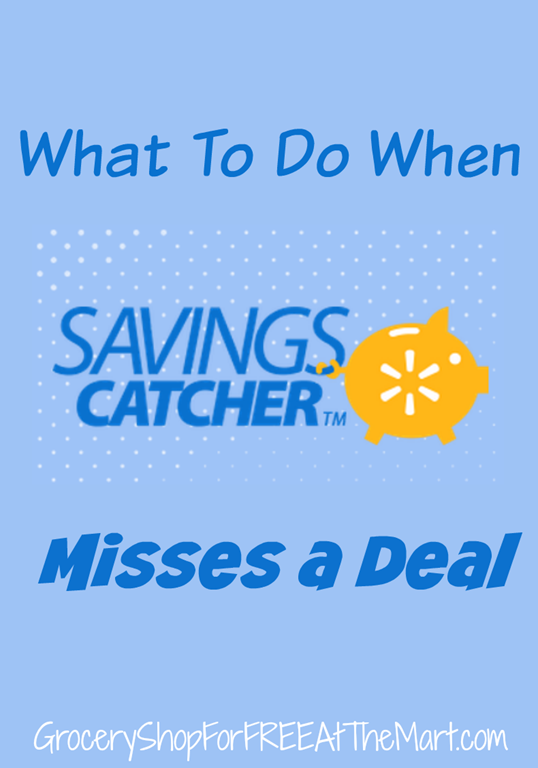 Did you know there is a way to tell Walmart when Savings Catcher misses a deal? Here’s how. 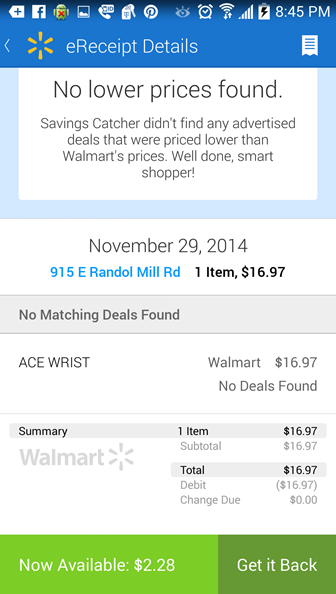 First up, click on the Walmart app, then bring up the Savings Catcher part of the app. 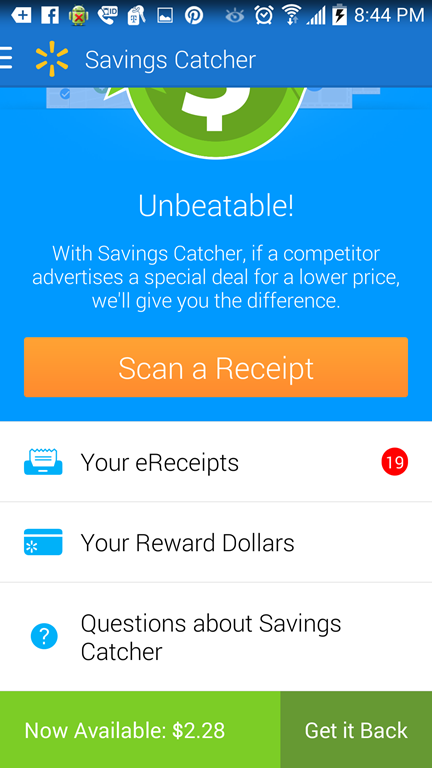 Click where it says “Your eReceipts” to bring up a list of all the receipts you have scanned in to Savings Catcher. Click the receipt where the deal was missed, then scroll down and find the particular item you want to report. 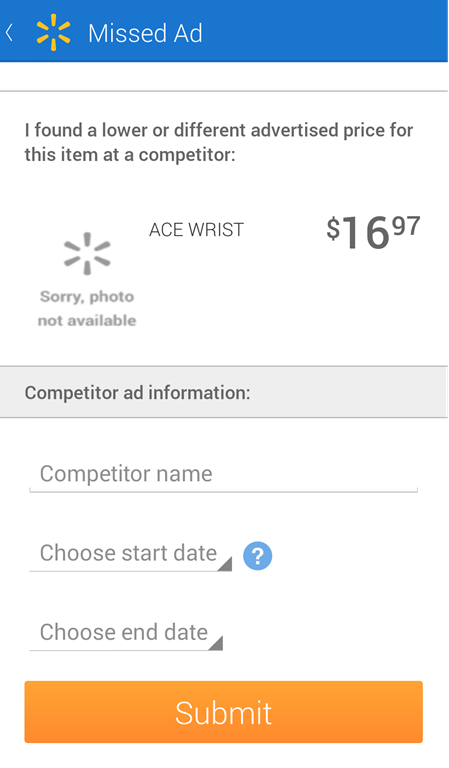 In this example, I will be reporting an Ace wrist bandage. Once you click the item, scroll down and fill in the competitor’s name where it is on sale and the dates the sale ran, Once you submit the info, then you will just wait until you hear back from Walmart. So why do it this way instead of at the register? Because anything you get back can be transferred to a BlueBird card and saved for later. It makes for an awesome return!